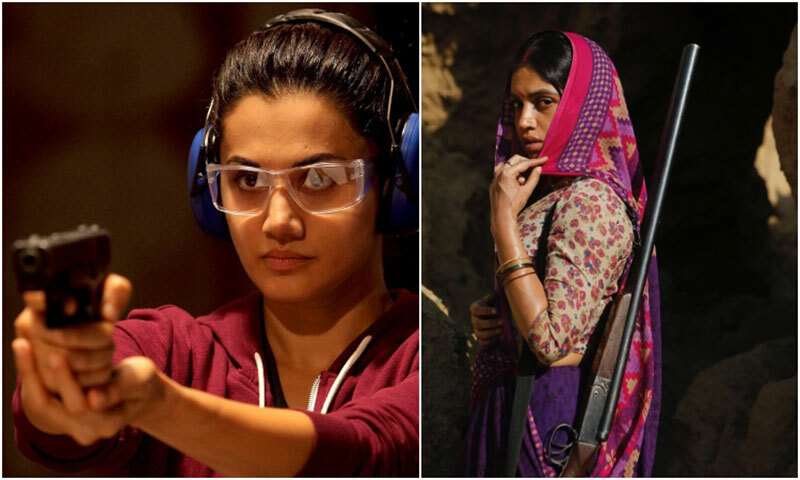 Bollywood actresses Taapsee Pannu and Bhumi Pednekar will be seen playing the world's oldest sharpshooters, Chandro Tomar and her sister-in-law Prakashi Tomar, in an yet-untitled film. The Reliance Entertainment film will mark writer Tushar Hiranandani's debut as director. It will also be jointly-produced by Anurag Kashyap and Nidhi Parmar. She captioned the image: "Kickstarting the shoot of our country's oldest and coolest shooters Chandro (and) Prakashi"
"The 'shoot' begins...literally! We are happy to announce that our next production based on the world's oldest sharpshooters, is going on floors! Directed by Tushar Hiranandani, the film will star powerhouse talents Taapsee and Bhumi." Kashyap tweeted: "This is one story that is waiting to be told!" Chandro, 87, and Prakashi, 82, are from Uttar Pradesh's Johri village and reportedly took up sharpshooting in their 50s. Chandro, who is fondly called as shooter 'dadi' is among the world's oldest female sharpshooters.